2013 is a good coat year - there are so many classy coats to pick from! 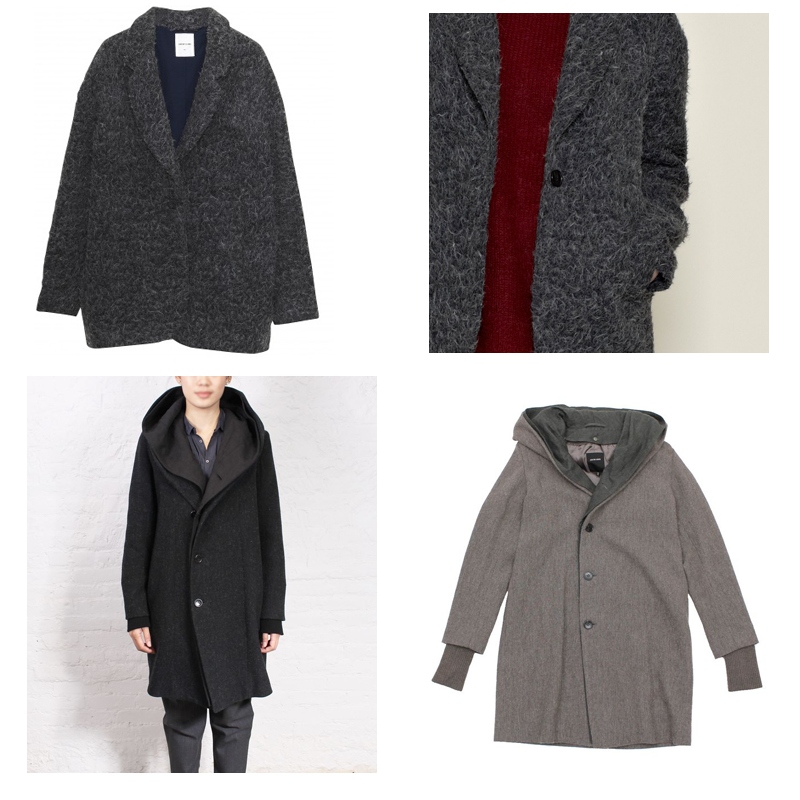 The past 2 years I haven't seen many that caught my eye, but this fall I can't stop looking at wool coats. For a long time I've been drawn to the idea of a baggy coat - but whenever I would go to put them on I felt the size was too voluminous for my height. I kept thinking that if that baggy look could be a bit more tailored I could pull it off. Here's a small compilation of ones I think fit the bill, and a few that aren't crazy pricey too. My biggest pet pieve is when a garment has a high content of poly/acrylic and is expensive - I don't understand the cost. Then there's the question of where it was made, naturally if it was made in a country where factories pay fair wages and have good working conditions the cost will go up - but that's a completely different topic, of which, I have many opinions but won't bore you with here because as you probably all know I love a good rant. So, without further ago, let's talk coats. 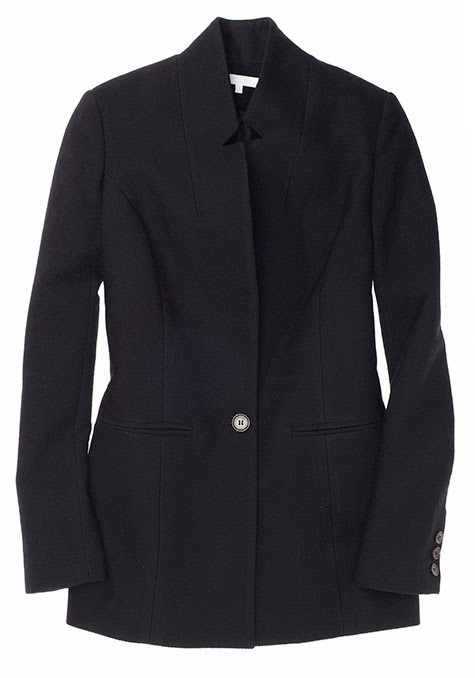 Above : The Camel Wool Blazer Coat and Navy Studio Coat from Zara. I go into Zara once in a while and sometimes I find something I like but there's always one little detail off so I don't get anything - but, they have some *good* coats this season. The camel coat is actually rather perfect. The fabric has a very subtle linen/tweed look and the pictures online don't really do it justice. It's 66% natural fibers (wool/alpaca/cotton), the rest is poly/acrylic, but I think for $189 that isn't awful when you compare it other similar fiber content coats that are usually pricier because of the designer. The fit is also good - a little bit of the cocoon coat look without being huge. It also fits like a glove and is great for narrower shoulders. (I always have trouble with coats fitting my shoulders and the seams always drop off by 1-2 inches.) Because the fit was so good I did end up getting it and so far it's great. There is a bit of pilling but not majorly so. The clasp is also really minimal and hidden, which I like. The Navy coat I didn't try on but saw and it also looked nice. It has a higher wool content (75%) and is about $100 more and seems like a great long coat option. Next: Wood Wood Bergen Blazer (Top Row). I haven't seen this in person but I really like the texture of the jacket. it comes in a rusty brown color too. I like the shorter length which I think can sometimes be more flattering for a shorter height, something that I've only realized lately. You could probably also fit a thick sweater underneath. It's almost all cotton/wool/alpaca with only 10% nylon/poly - not bad. The price tag's a bit higher though, 355 EU (about $488) - funny thing is it's retailing in US stores for around $625! I've seen this happen with Hope too and other Scandinavian brands. I'm guessing that price difference has something to do with import fees or overseas shipping costs being put into the price - which makes sense, shipping UPS overseas is dang expensive. Still, I think it's often a better bet to order overseas even if the shipping is high, you often save a lot plus the VAT will usually get deducted. 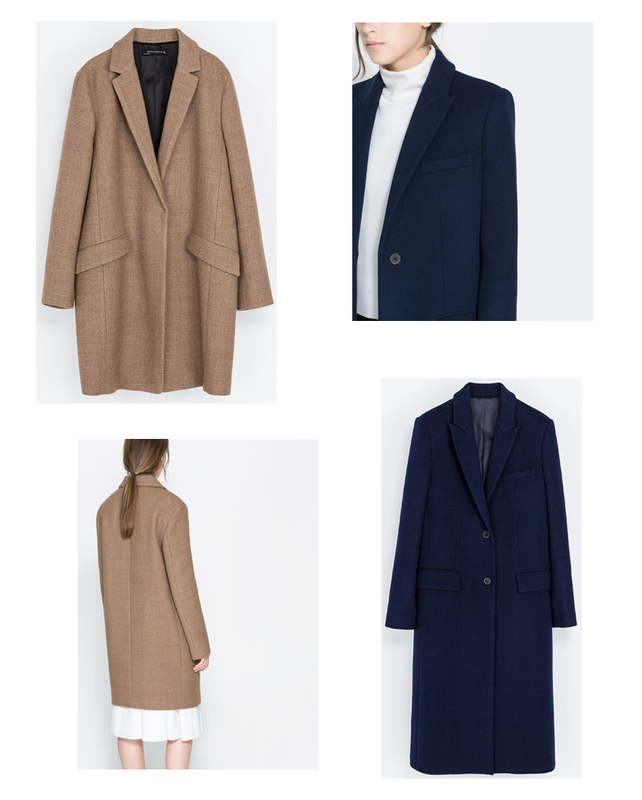 If you really want to spring for the gold Pas de Calais has really cool coats - not to mention everything else they make! (Bottom Row) I've been in their store a few times and the fabrics they use are great and have really nice textures. I love when coats have a ribbed fabric sleeve extension (is there a name for this?) to keep drafts and snow out. I didn't see this exact coat, but the ones I did had really soft cuddly wool! 60% wool, 40% cotton - not bad at all - it's hard to find a coat that doesn't at least have a little nylon in it! Last but not least, the Apiece Apart Mariana Blazer. I've been starring googly eyed at it since I first saw it this summer. I was thinking it would work both as a coat and blazer, but in reality I have little need for the latter given that I'm constantly covered in leather dust and dressing fancy just doesn't happen that much. And of course there's no where in Boston that would have it, and it's the kind of thing that you really need to try on in person. So I did when we passed through NY last weekend for a wedding. The fabric is really great & it's well made, but I'm just not sure if the cut works for me. It's very fitted in the waist and pretty elongated in the torso. The 4 was too tight with just a t-shirt on, the 6 wasn't much looser in the waist but then pretty baggy in the bust. I really wanted it to work, and I think the 6 could probably work, but I would need to get it tailored. Okay, well, that's a wrap. I've got a bad cold so I've been clearly spending too much time on the computer this morning, and need to move onto more important things, like watching more Ylvis videos.